Cold feet is a common condition that affects many patients from all walks of life. The body responds to cold temperatures by reducing the blood flow to the extremities leaving the feet vulnerable. Chronic cold feet are often a result of impaired circulation (peripheral neuropathy) and lack of mobility. Patients with Muscular Dystrophy, Multiple Sclerosis, Diabetes, Raynauld Diaseasm Arthritis and Cerebral Palsy are at risk of this condition. One of the major causes of cold feet is peripheral neuropathy which can effect the feet and hands trying to protect core temperature. PVD (Peripheral vascular disease) is a medical term given to a group of conditions that cause poor circulation to the legs and feet. 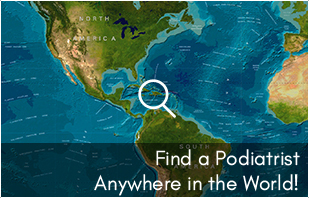 Poor circulation can result in cold feet. 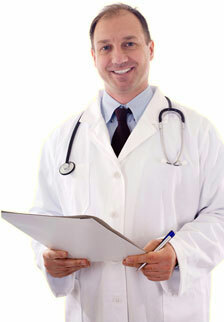 Diabetes is the most common cause of PVD. Depending on the severity of symptoms, treatment may include lifestyle changes, medications and procedures designed to open clogged blood vessels. Abscess and Celulitis: Localized pockets of infection under the skin. Dry Skin or Cracked Skin: As a result of cold feet, dry skin or cracks in the skin can lead to severe infection when inadequate blood flow is present. Individuals who are affected by peripheral neuropathy are particularly vulnerable to cold and are at risk of serious complications due to poor circulation to the feet and legs. It is extremely important to keep the patients feet warm and to keep the skin moisturized. 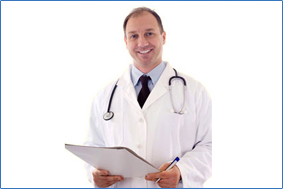 Loss of Sensation: Chronic cold feet can result in a loss of soft and sharp touch to the feet. Loss of sleep: Recent studies have found that cold feet can result in disrupted sleeppatterns. Gangerene: In severe cases gangerene can occur. Gangerene is death of tissues (necrosis) which usually requires surgery. It is important that you maintain core body temperature so warm clothing such as long johns or extra tights will trap heat. Patients should also have a pair of warm dry socks available. A hat is important because a great deal of body heat is lost through the scalp. Feet should be kept dry and warm. Some people find it helpful to wear mittens and socks to bed during winter. To prevent PVD, patients with diabetes should focus on the basics for good diabetes control such as controlling blood glucose and cholesterol levels, quitting smoking (tobacco causes the blood vessels to constrict and makes attacks much more likely), maintaining good nutrition and exercise habits, and keeping blood pressure in a safe range. Stress, tension, emotional disturbance can also cause your feet to turn to icy. The condition when sensitive hands and feet gets cold due to stress and temperature is called raynaud syndrome in medical language. During the stressful condition and low temperature the small blood vessels in extremities narrows which allow a very small amount of blood to pass through it. 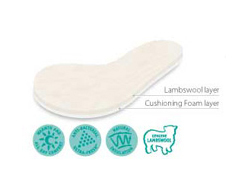 Lambswool Insoles, made from high quality Australian Wool with a latex backing, it is worn all year, for supreme comfort, warm in winter, cool in summer. Akiline Winter Cream is especially formulated to fight the effect of the cold by keeping the skin supple and resistant. It also prevents chilblains, reinforces the natural hydro-lipidic barrier of the skin and calms itching associated with chilblains. 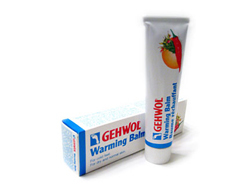 The Gehwol Warming Bath provides long lasting thermic action. It is highly concentrated - use 2 teaspoons fully diluted in one gallon of water. Excellent for cold feet and poor circulation. Gehwol Red Light cream contains extracts of paprika, camphor, ginger, rosemary oils and mountain pine which imparts a pleasant feeling of warmth to the skin. Thermal Socks 2.3 Togs. Keep feet warm on the coldest of days and pull on this pair of ultimate thermal socks! Thick, chunky and with a massive tog rating of 2.34, heat holders thermal socks are made from a specially developed heavy bulk yarn which has extreme thermal qualities. With long pile cushioning, these thermal socks will help keep feet fully comfortable and supported. Transform just about any shoe into a winter wonderland for warmth with this genuine Lambswool Insoles. The wool insulates feet from the cold ground, keeping feet warm as well as providing soft cushioning.